We Are The #1 Milgard Replacement Dealer In Texas! If you are looking for one of the very best Window and Door companies in America you need to consider Milgard Windows and Doors. We are the Number One Milgard Dealer in all of Texas. 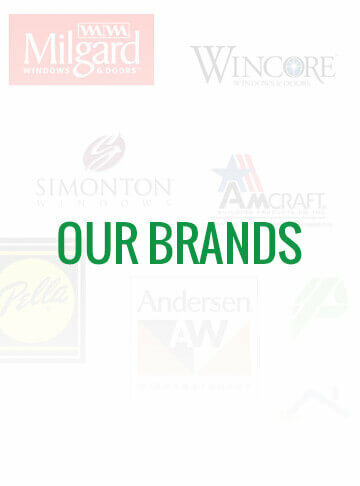 We sell and install more Milgard windows and doors than any other company in Texas. With our AAMA Certified Master Installers and our professional expert salespeople, you will get the very best information, products, installation and service for your home improvement project. Why Choose Milgard Windows And Doors? With high quality, variety of styles and options Milgard Windows and Doors is Clearly the Best. A 55 year old company with over a dozen full service and customer care locations. Offering award-winning products with a Full Lifetime Warranty which includes labor. The peace of mind of having a warranty which includes labor lets you know that they really stand behind their quality products. While most other manufacturers, at best offer a Limited Lifetime Warranty, Milgard provides a Full Lifetime Warranty. Here is an example of a wood window that we replaced with the Milgard Fiberglass window. Why Choose Houston Window Experts? Here is a complete article explaining why you should choose us for your window and door project. This entry was posted in Window Project Portfolio and tagged Milgard Window Dealers Houston, Milgard Windows Houston, Milgard Windows Houston Tx, Milgard Windows In Houston.